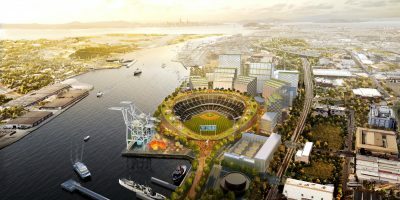 O.CO COLISEUM – There has been worry amongst A’s fans as to how the team would score runs without the recently departed Yoenis Cespedes. 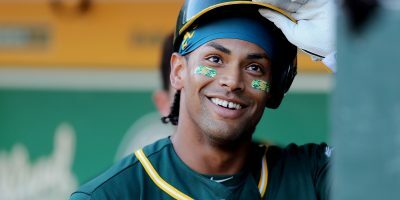 The engine of the offense, Coco Crisp returned to the lineup Tuesday, claiming the DH role, while nursing his sore neck. The offense took a few innings to catch on, but in the fifth, Alberto Callaspo stroked a single to center, and was brought home two batters later by none other than Crisp. With one down in the sixth, catcher Derek Norris laced a single to left. Nate Freiman brought Norris home with an RBI double. The A’s catcher showed off his impressive speed, going first to home to give the A’s a 2-0 lead. Josh Reddick (2-3, RBI) stayed hot, even with the tough lefty on the hill. In the 8th, Reddick got aboard on the rare catcher’s interference. Such is just how it goes for Reddick, who is now hitting .387 (19 for 49) since his return from the disabled list on July 22. Jason Hammel (1-4, 5.2 IP, 7 hits, 4 BB, 2 K’s) had his best showing for the A’s (69-43) thus far. While he allowed seven hits and four walks, Hammel also worked out of trouble on a consistent basis, lowering his previously inflated ERA from 9.53 to 7.15 with the green and gold. Drew Smyly (6-10, 5.1 IP, 7 hits, 3 ER, 6 K’s) made his debut for the Rays after being dealt to Tampa (54-59) in the David Price deal at last week’s trade deadline. In his last outing against Oakland, Smyly gave up six earned on eight hits in five innings as a member of the Tigers. While Smyly pitched much better on Tuesday, it still wasn’t good enough for an Oakland team that just got their leadoff hitter back. Hammel started the evening by having a very efficient 1-2-3 first inning. In the second, he loaded the bases, but escaped the jam unscathed. This sporadic effort got the job done with Hammel inducing double play balls in the third and fourth innings. The Angels, who have been on the A’s heels recently, dropped their game to Clayton Kershaw and the Los Angeles Dodgers, 5-4. The loss, coupled with the Athletics’ win pushes the AL West lead to two games. The victory gives the A’s and Rays identical 30-17 records since June 11th, one game back of the Angels for the best record in that span. The start came on an extra day’s rest for Hammel. In such starts, he held a 5-5 record with a 3.42 ERA coming in to Tuesday’s contest. Ryan Cook pitched the seventh inning, extending his scoreless streak to 17.2 innings. Sean Doolittle notched his 17th save on the year, tying the Athletics record for saves by a lefty. The win is Bob Melvin’s 799th career victory. Attendance was 16,335 for Tuesday night’s game.